Cup should be anteverted 15 +/- 10 degrees. 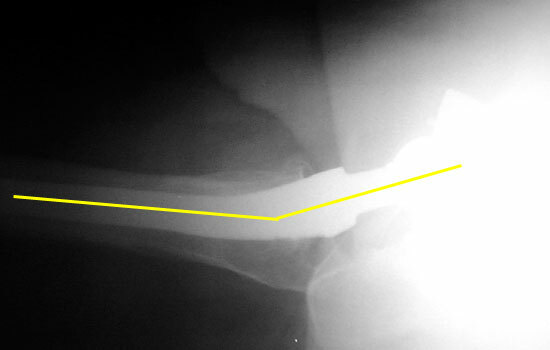 Anteversion is difficult to accurately evaluate on radiographs, and can only be qualitatively assessed on a groin lateral view. This view is difficult to obtain, especially in the elderly or post operative patient, and is effected by pelvic or thigh rotation. The right cup is normally anteverted, the left cup anterior and posterior rims are far apart, suggesting excessive anteversion. 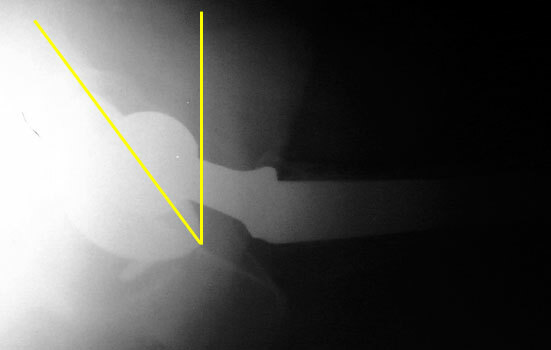 Femoral neck anteversion is difficult to accurately evaluate on radiographs, and can only be qualitatively assessed on a groin lateral view. 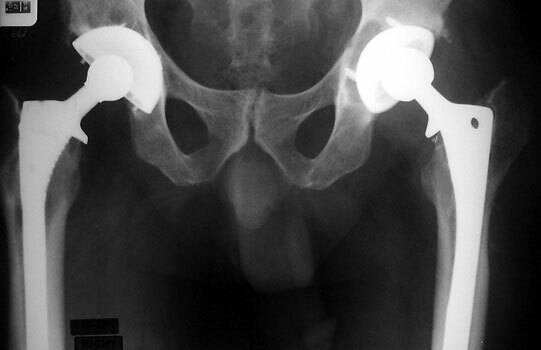 This view is difficult to obtain, especially in the elderly or post operative patient, and is effected by pelvic or thigh rotation. CT is the imaging modality of choice to evaluate for femoral neck anteversion. 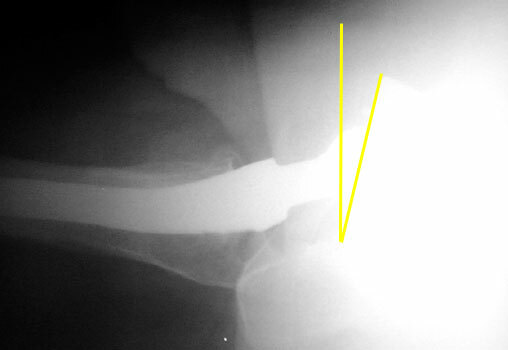 Femoral neck anteversion on groin lateral film.